This Valentine’s Day, skip the busy restaurant scene and treat that special someone to a romantic homemade dinner. 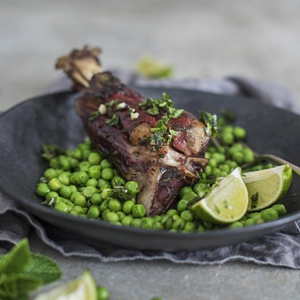 From impressive grilled racks of lamb to slowly braised, fall-off-the-bone lamb shanks, our Grass Fed New Zealand Spring Lamb is sure to wow their tastebuds. 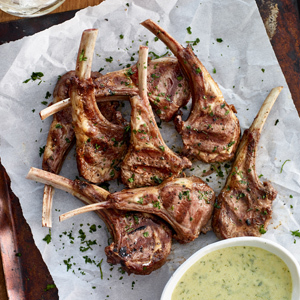 Elevate your Valentine’s Day dinner with a classic Frenched rack of lamb. This impressive dish is surprisingly simple to make and ready in under 30 minutes. Vibrant Thai flavors and grilled lamb chops are sure to delight this Valentine’s Day! The green curry dipping sauce can be made a day ahead and reheated when it’s time to serve, so all you need to do is fire up the grill. Your Valentine will be saying ‘shanks for dinner!’ after you bring out this flavorful dish! Braised for hours at 350’F, your patience will be rewarded with tender and succulent lamb shanks. 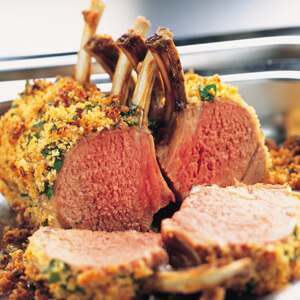 Lamb loin is extremely tender and is best cooked quickly in a pan or in the oven. 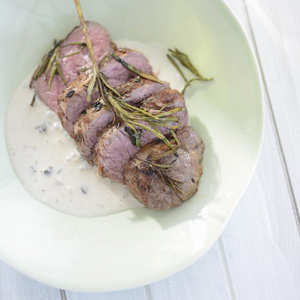 A rich rosemary sauce is a tasty complement to roasted lamb loin and looks very impressive on the plate! Spice up your Valentine’s Day dinner with this incredibly flavorful dish! 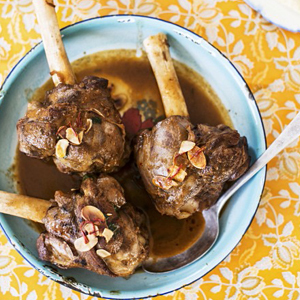 Slowly cooked in a blend of spices and served alongside basmati rice and crunchy poppadoms, these lamb shanks are an absolute showstopper.